The second National Convening of Advisory Board Leaders held on October 29 and 30 in Sacramento, CA was another success! Pictured to the left is Marullus Williams, President of Limbic Systems and co-chair of the DC Executive Advisory Board, facilitating a discussion at the National Convening of Advisory Board Members. Participating regions included: Southern California (Pomona, Foothill, Pasadena, Long Beach), Central California (Tulare-Kings, Fresno), Northern California (Milpitas, Vallejo, Sonoma, Sacramento), Dallas, New Orleans, Detroit, Orange County, Washington, DC, and New York. 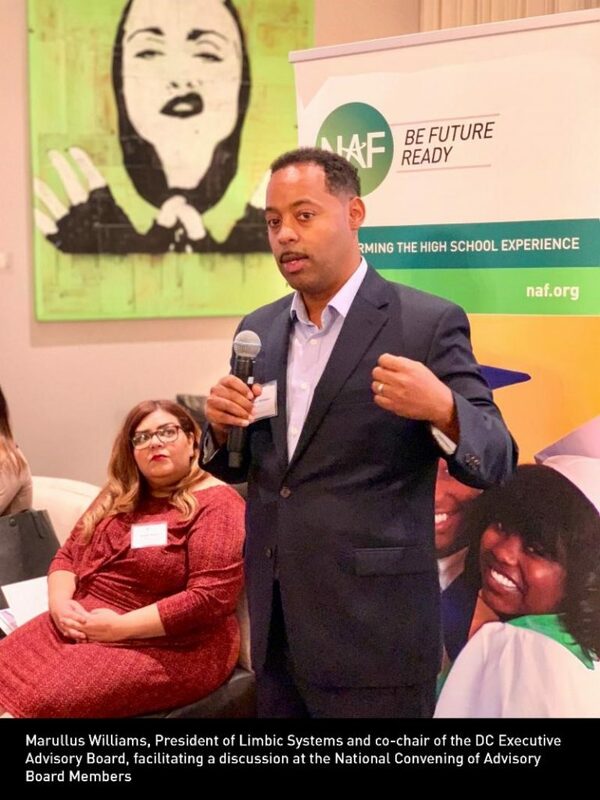 One of the big next steps from the inaugural National Convening of Advisory Board Leaders was providing easy to use resources to help advisory board members find, fund, or furnish paid internships.